Heart disease has been and continues to be the number one killer in Malaysia with over 8,000 new heart patients reported annually, and accounting for 3 5% of deaths occurring in individuals aged below 60 years. In 2010, the total number of deaths in Malaysia from coronary heart disease was 22,701 according to the World Health Organization (WHO) or approximately 22.18% of total deaths in the country. Setting out to make a difference by raising funds and raising awareness regarding heart disease, Antabax, a trusted and innovative antibacterial personal care range is collaborating with leading retailer Giant to launch the One Heart or 1Hati bersama Antabax & Giant charity fundraising campaign, in support of the Institut Jantung Negara (IJN) Foundation, here, today. IJN Foundation is a non-profit organization established in 1995, with a mission to raise philanthropic support for the National Heart Institute or Institute Jantung Negara (IJN) towards the care of heart patients. The campaign that will run from July 1, 2014 to August 31, 2014 will see 5% of sales from the entire Antabax antibacterial personal care range from any of the 128 Giant outlets nationwide channeled to the IJN Foundation in support of its Patient Assistance Program. “Although it is the number 1 killer and has been for years, it can be fought through education, and those who have it can be helped through treatment. Aside the One Heart campaign raising funds for heart patients who cannot afford treatment, Giant has also generously extended their premises for education and awareness raising programs on heart disease in collaboration with IJN Foundation,” said Mr. Ng. 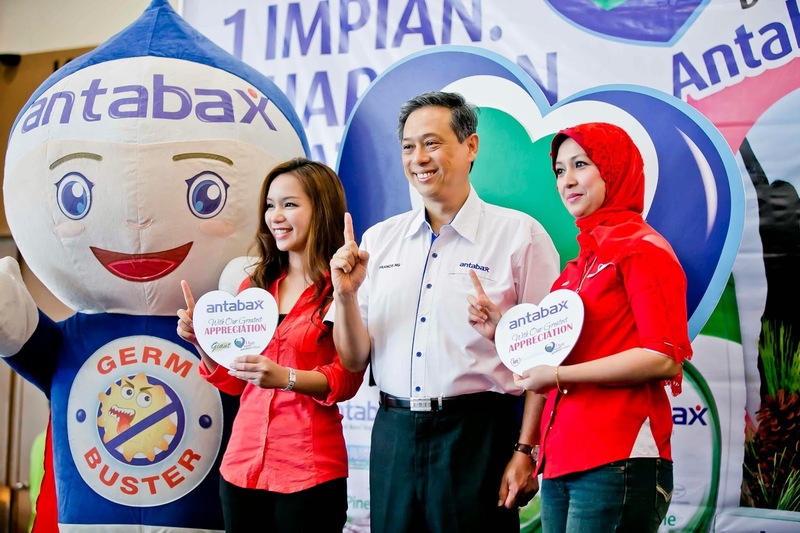 Joint fundraising campaigns between Giant and Antabax over the past three years has raised a total of RM96,580 for Rumah Ilham, Rumah KIDS, the Breast Cancer Welfare Association Malaysia (BCWA) and Women’s Aid Organization (WAO). IJN Foundation disburses more than RM2 million every year through its Patient Assistance Program. From 2006 to 2013, the foundation’s Patient Assistance Program has provided assistance of approximately RM19million to about 797 heart patients. “We require a minimum of RM20,000 for each deserving patient, and much of this comes from corporate and individual donors. 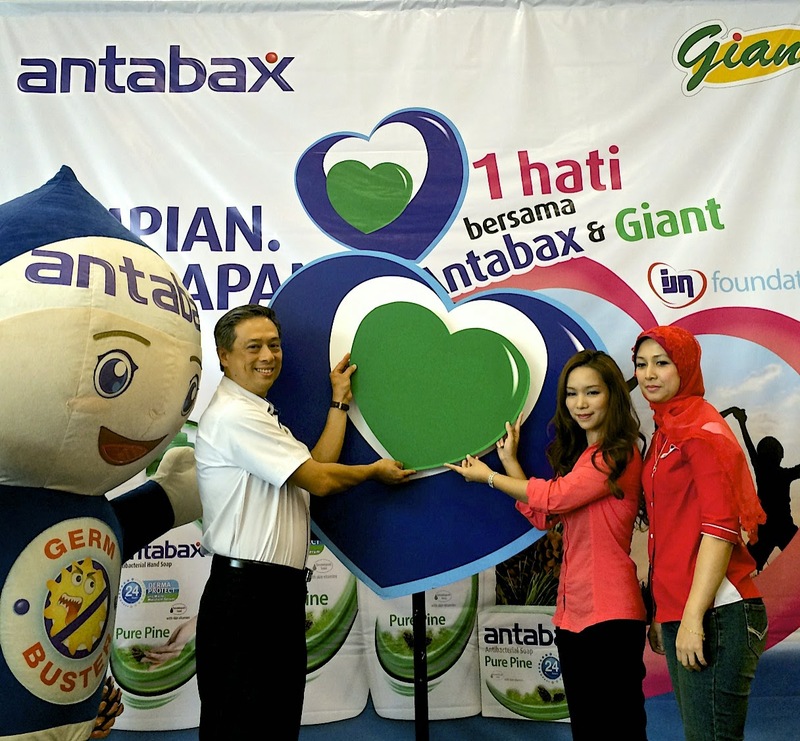 We have been blessed with committed donors over the years and welcome Antabax and Giant to the list of heart-friendly organizations that support us,” Ritzzawati Rosli said. Dr. Yap Lok Bin, Cardiology Clinical Specialist from IJN gave an educational talk on heart disease to Giant customers and invited guests. To find out more about the One Heart with Antabax & Giant campaign, please visit www.facebook/NewAntabax. (From left) With all their heart! Germbuster with Mr. Francis Ng, General Manager, Household & Personal Care, Marketing Division of Lam Soon Edible Oils Sdn Bhd, Ms Norine Erica Majaman, General Manager of Marketing, GCH Retail (M) Sdn Bhd and Puan Ritzzawati Rosli binti Mohd Rosli, Manager of IJN Foundation launching the One Heart Charity Fundraising Campaign. One Dream.One Hope.One Heart. : Ms Norine Erica Majaman, Mr Francis Ng, and Puan Ritzzawati united in support for the One Heart Charity Fundraising Campaign. my dear likes shop in this mall, he likes the cakes. RM5 only..